For many, golf can appear difficult to get started. Watching top pros on TV makes it look easy but taking clubs to the greens can be daunting. To extend a hand, JC Golf offers the Intro2Golf program and invites all interested to try out golf. Taking a page from the PGA’s Get Golf Ready program, Intro2Golf is designed for newcomers of any age. The “come as you are” program provides five one-hour clinics, range balls and two rounds of twilight golf – all for just $99. 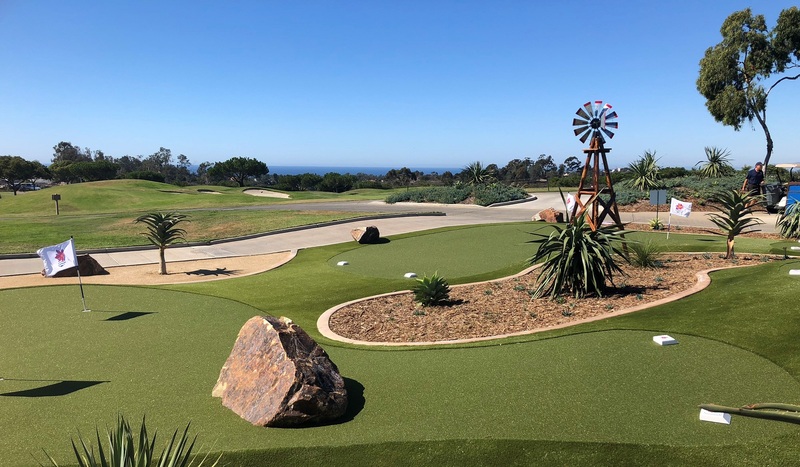 The program is featured at four JC Golf courses in north San Diego – Encinitas Ranch Golf Course, Temecula Creek Inn Golf Course, Twin Oaks Golf Course and Oaks North Golf Course. New players can transfer what they learn on the practice range to the golf course as the program also includes two rounds golf for an additional $10. Getting real game experience provides instructors an opportunity to focus on pace of play, an important initiative for the game and JC Golf. “Pace of play is just not taught, so this gives us an opportunity to teach people to take a club and just go,” Mason said. At Oaks North, students of all ages come each week to the Intro2Golf class and learn the fundamentals of golf. Oaks North is a par 3 course with shorter greens; perfect for beginners to practice their game. To sign up for Intro2Golf, click here and print the registration form. Bring the completed registration form to any of the four above golf courses to participate in the classes. For more Intro2Golf program details, click here or call (858) 675-8470.